My Name is Evan Robert Miller, and I’m a web designer and front end developer from Chicago, Illinois. I’m also a lover to cycling, camping, photography and drawing. A few years ago I did my first week long bike tour with an old high school friend – Pittsburgh to DC along the Great Allegheny Passage and C&O Towpath. When planning that trip, I found myself having a lot of trouble getting a good idea of what to expect from the journey via online resources. There was a lot of discussion online, but at the time few high quality images of the trail to give me an idea of what to expect. After the trip I decided to compile all of the photographs, videos and GPS records I had taken along the way into a “trip report” post hosted on Medium.com. Since then I’ve been writing similar reports about my various tours and camping trips, partially to share with friends and family and partially just as a type of personal photo journal to remember these trips by. Since I began writing these trip reports, I’ve wanted to compile them into a self-hosted website of my own. In 2017, I had a great opportunity to do just that when my employer PerkSpot offered me a two week sabbatical to get away from the office and spend time working on a project that would better my personal career skill set. 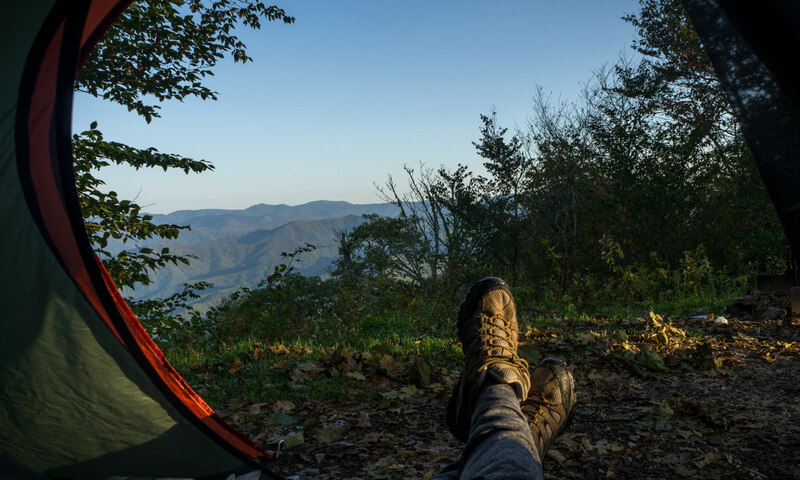 During this sabbatical, I spent ten days traveling through one of my favorite places in the world – the Blue Ridge Mountains of North Carolina – taking photographs, drawing, camping and building this website along the way. I chose the name The All Around because I wanted to keep the site open ended for whatever kind of content I might like to add in the future. My interests have always been pretty eclectic, so I want this site to not only cover my travels biking and camping all around the USA, but also to cover any other kind of content I might want to add in the future. 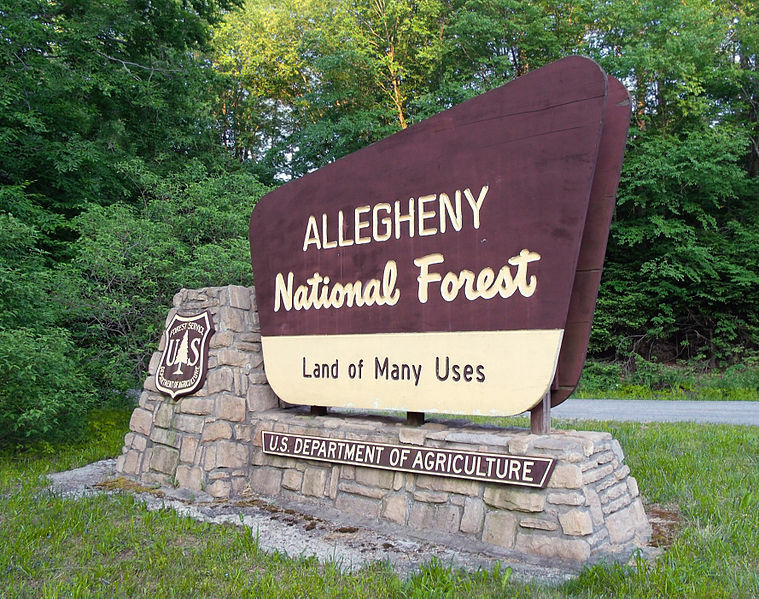 The All Around’s branding was inspired by the National Forests Service, which I’ve always been a fan of. This is built with WordPress. I designed and developed the theme, which I call BlueRidge, from scratch using the Underscores starter theme. I couldn’t have done it without Morten Rand-Hendriksen’s excellent Lynda.com course WordPress: Building Themes from Scratch Using Underscores. The front end was built with SASS, using GULP for compilation. Because the focus of this site is photography, I chose to prioritize high quality images over speed. Some of the pages may take a lot of bandwidth to download. Originally from Bloomington, Indiana, I moved to Chicago after completing my BFA in Painting at Indiana University. I’ve been building websites for fun since I was in 6th grade, so when I took my first job doing Web Design at a small company in the Chicago suburbs called Web Works, the career sort of “clicked” for me. Since then I’ve developed a wide variety of design and front end development skills which I currently put to use as Lead Designer at PerkSpot. I definitely wouldn’t call myself a pro when it comes to photography, but it’s a fun hobby for me. Purchased a Sony FEX-3 mirrorless camera a couple of years ago, and I’ve been working on my Lightroom developing skills since then. Photos taken before the beginning of 2016 were all taken on various cell phone cameras – apologies for the quality. My main website is Evanart.com. It was last updated around 2014, so I apologize if it’s looking a little dated at the moment. Check it out for example of my pre-PerkSpot design and development work, as well as a big variety of my personal artwork. Thanks to my company, PerkSpot, for giving me the time off and opportunity to put this site together. I promise I’ll redesign the marketing site as soon as I can. Thanks to my father, Steven A Miller, for always being a positive influence in my life and always being there to support me. He is a Army veteran who recently self published a novel called Eagle’s Head, which follows a group of soldiers during and after the Vietnam War. It’s an exciting and insightful read and definitely worth checking out.